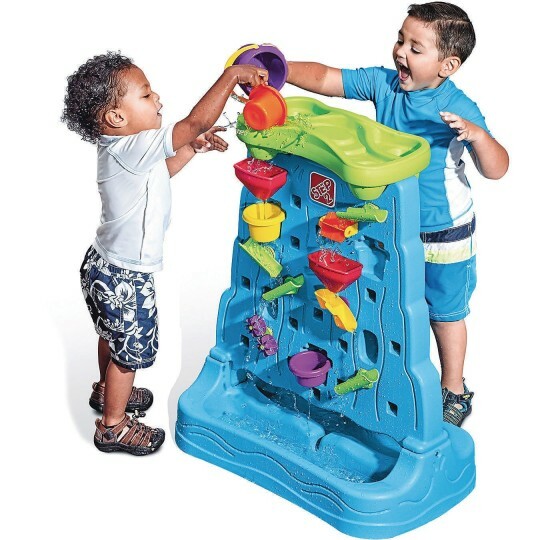 Provides double the playtime fun! The Step2 Waterfall Discovery Wall provides double the playtime fun. 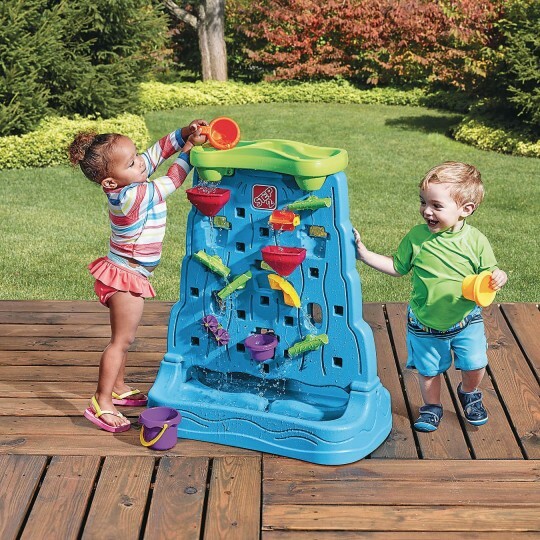 Children can allow their imagination to run wild as each water maze piece can easily be moved to create a new design. Bottom basin catches water as it rushes down through the spinners and funnels. 13-piece accessory set included. 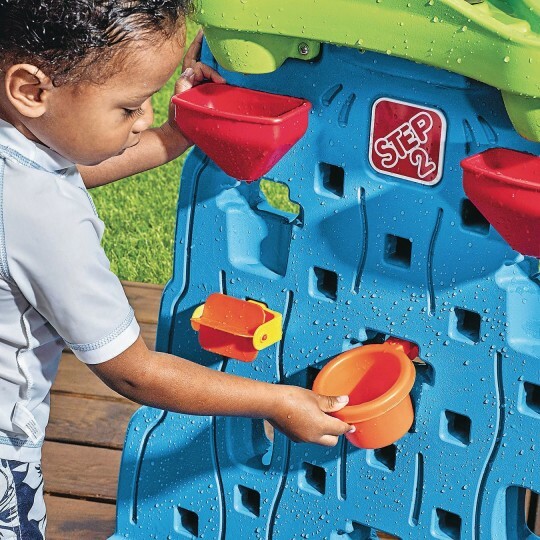 Your group will enjoy scooping the water and watching as it cascades through the spinners, zigzags and funnels on this double-sided water wall. Measures: 33-1/4” x 28” x 16-1/4”. Assembled Width 28" Assembled Length 16.25"